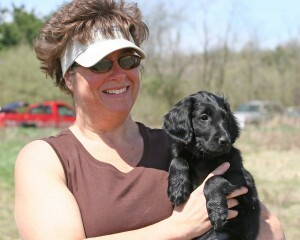 Gamekeepers Retrievers, Ltd., established by Mitch and Maria White, was born out of their commitment to breed top quality, dual purpose flat-coated retrievers. It has grown into a professional retriever training service, specializing in training all breeds of retrievers for AKC hunt test programs, breed club field programs and as personal hunting companions. Gamekeepers commitment to producing the finest dual purpose flat-coated retrievers possible is demonstrated by the performance of their dogs in the show ring and in the field. Gamekeepers flat-coats have advanced field titles and these same dogs are also top ranked conformation dogs including Westminster Best of Breed winners, Specialty winners and Group winners. Mitch has been training retrievers for field work since 1988 when he got his first retriever, a Labrador named Hershey, followed by a Golden named Casey before getting into Flat-coats and establishing Gamekeepers Retrievers. Mitch now trains all retriever breeds professionally and he has also worked with several of the spaniel breeds and with Airedale Terriers. 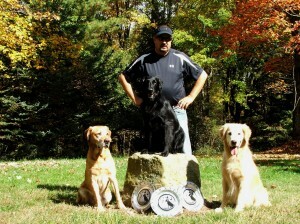 Over the years, his program has been developed to utilize an approach that works for all of these different breeds. Because Mitch trains many different breeds, he often has to get “outside of the box” from popular retriever training methods. One of the key ingredients of the program is fairness to the dog. 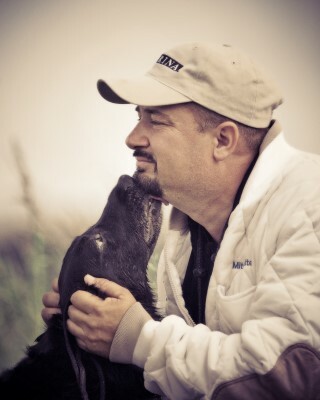 Mitch believes in putting the work into teaching a solid foundation so the dog creates a skill set which aids the dog in making decisions out in the field. Poor decisions are corrected and good decisions are praised. Because of this approach, his foundation work may take a bit longer than other pros, but the resulting happy, confident worker is well worth the wait. Mitch also gets a lot of dogs in for “rehab” work. These are dogs that have been in other programs and have developed issues that have prevented them from going further in training. Mitch has had tremendous success turning these dogs around so they become confident workers again. 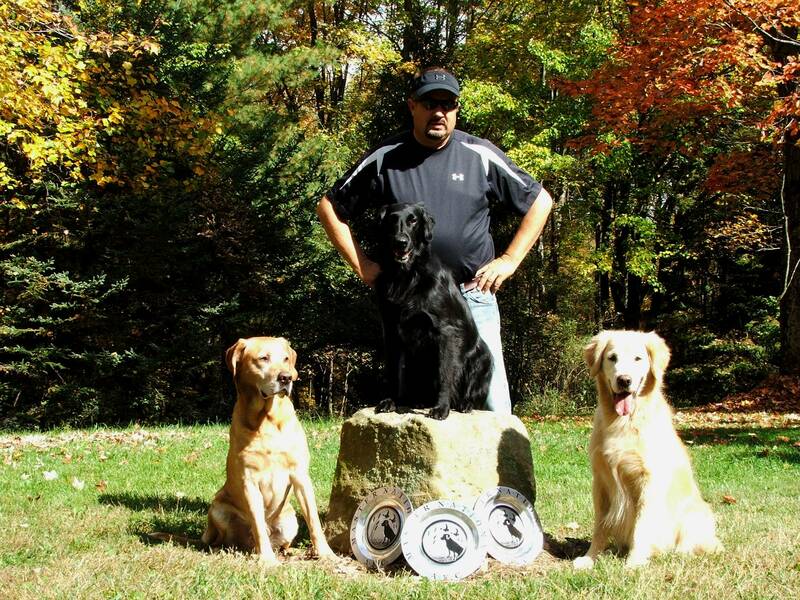 Since becoming a professional trainer, Mitch’s clients and students have earned over 60 field titles per year, at all levels, including several Master National Qualifiers/Finalists and dogs with Field Trial placements. Mitch has a loyal following of private lesson students who come from all over the country and Canada to consult with him about training and problem solving. He also conducts a variety of training seminars and workshops all across the United States and in Canada. His seminars have received accolades from many licensed judges and from other professional trainers. Mitch has published two training manuals and is currently finishing the third manual in this series which will be published in the near future. He has appeared on Outdoor television shows, as well as at major sporting show venues. Maria has been showing dogs in conformation since 1994, when she sought the guidance and advice of top professional handlers, Carlos Puig and Lisa Bettis who graciously mentored her and taught her the skills she needed to show her own dogs. As a breeder/owner handler Maria has shown countless dogs to their Championships, has earned multiple group placements including Group 1’s and has ranked top specials. Mitch’s travels on the hunt test circuit keep Maria from getting to many conformation shows these days, so she has been focusing on the Gamekeepers breeding program, her work with FCRSA Board of Directors and on taking the occasional judging assignment. Maria is also responsible for taking care of the “business” end of running a business. If it has to do with accounting, contracts, misc. paperwork, email, website design and management (you get the idea!) she is the go-to girl!